Eagle Ridge GM | Blog | To Lease or To Finance? What is Best for You? To Lease or To Finance? What is Best for You? To Lease or to Finance? That is the question… asked by everyone that is looking into getting a new vehicle. But both types of payments have their advantages and disadvantages. So which one is right for you? In simple terms, leasing is like borrowing a new vehicle. You make payments to be able to use that vehicle and then at the end of the term contract, you return it for a newer model. That is the basic gist of leasing. However it does get a bit more complicated and you do have to think ahead before making a decision on whether to lease or not. The biggest advantage with leasing is that at the end of the term contract, you can get into a new vehicle without having to worry or deal with the hassle of selling/trading in your current vehicle. You just return the vehicle to any same make dealership (Chevrolet for example) and you can choose to lease a new vehicle from there or from an entirely different brand. 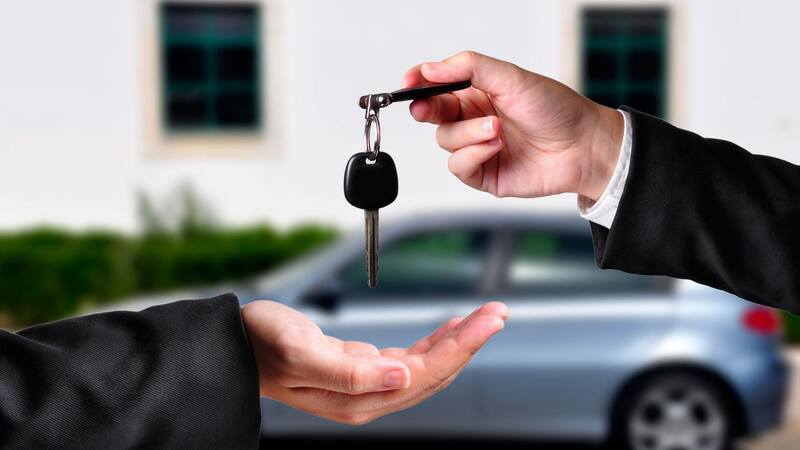 Another advantage of leasing is that because you don’t technically own the vehicle, you therefore don’t have to pay the entire price of the vehicle. For example, let’s take a 2018 Chevrolet Cruze LT and you lease it for a 48 month term. At the end of that term, the manufacturer will have a predetermined residual value of the vehicle and that value gets deducted from the total value of the vehicle. That new value is what you’re actually paying for which is less than if you were financing the total price of the vehicle. Finally, you also have a choice at the end of the lease term to purchase your vehicle if you like it and want to keep it for longer. Every vehicle that is leased has a residual value associated with it at the end of the lease term. You can choose to pay that residual value at the end of your lease contract and own the vehicle. The biggest limitation to leasing is that there is a limited amount of kilometers that you can put on the vehicle. Because of the residual value calculation, there’s a limit to how many km you can put on the vehicle for the duration of the lease contract. Usually it varies from 16,000 km per year to 24,000 km per year or sometimes more. If you exceed these values, you will have to pay for each additional km over the agreed upon limit. Vehicles are the second biggest purchase we make in our lives (behind a home) so being able to pay off a vehicle at once is nearly impossible for most of us. This is where financing comes in. You pay the full price of the vehicle on increments over a period of time. The difference between leasing and financing is that you own the vehicle from day one with financing. You can do anything with the vehicle and go anywhere without having to worry about returning it at the end of a contract term or how many kilometers you put on it. It is yours to do with as you please. The biggest disadvantage with financing a vehicle is that because you are paying the full price of the vehicle, payments are usually higher than leasing. However you can lower the payments by placing a large down payment at the start of the financing term which will result in lower monthly or weekly payments. Whether you lease or finance, both types of vehicle payments have their advantages and disadvantages. It mostly depends on your financial situation and what you plan on doing with the vehicle. If you’re just commuting in the city, then leasing may be a better bet. If you take a lot of road trips and keep vehicles for years at a time, then financing is better suited for you.